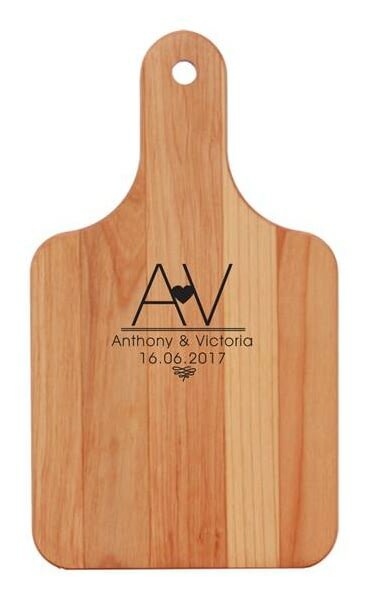 Personalise with two initials that sit either side of the heart and add your unique message underneath over 2 lines of 20 characters. 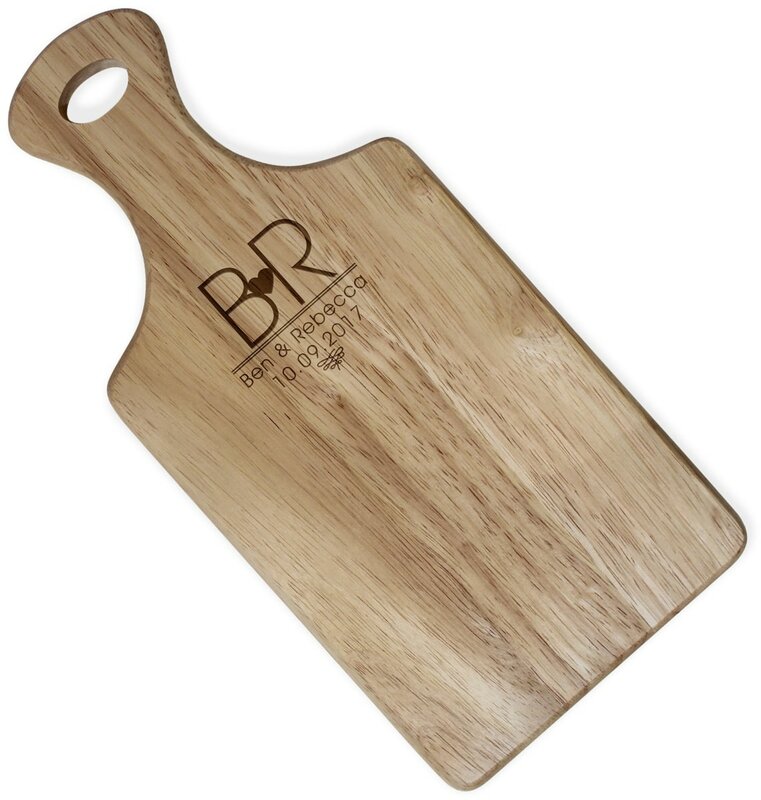 Whether it’s a house warming gift, or you know they love to cook, this board is a beautiful addition to their kitchen. 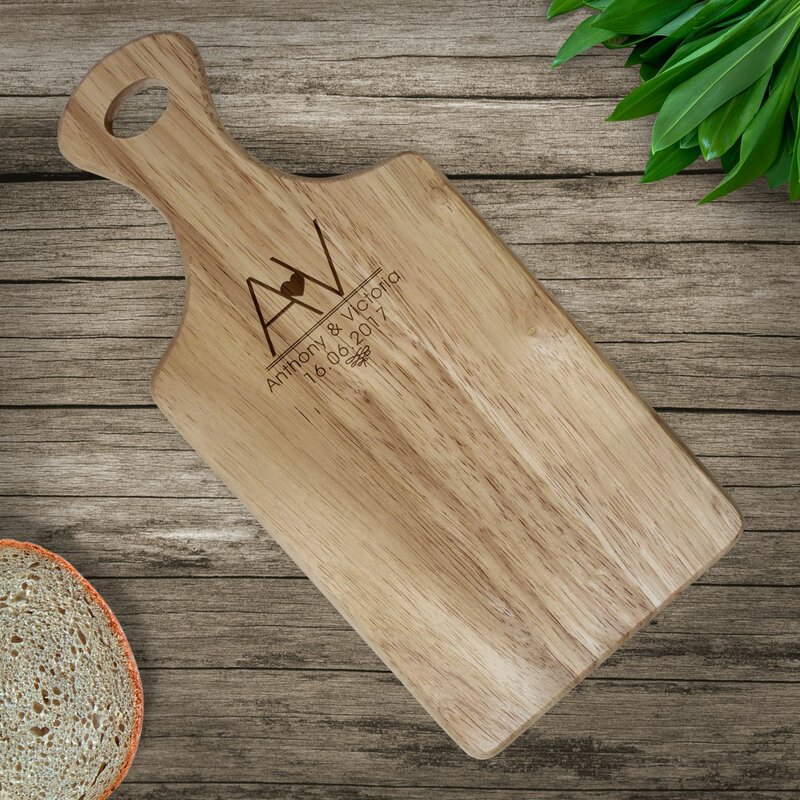 Made from quality hevea wood, this paddle board will make the perfect gift for any kitchen queen.